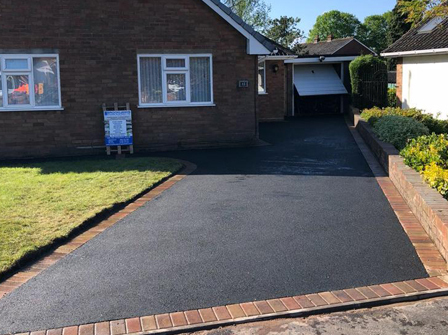 Tarmac has always been a popular choice for driveways for decades and it is because it is such a flexible and easy to install material, hardwearing and cost effective. Beautiful driveways and pathways can be designed and installed by our team with over 25 years of experience in the paving industry. 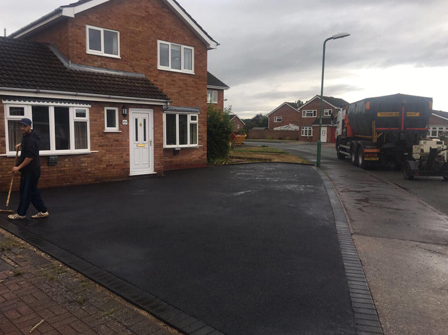 We offer our tarmac services throughout West Midlands, South Staffordshire and Shropshire including Wolverhampton, Tettenhall, Coven, Willenhall, Walsall, Wednesbury, Birmingham, Telford, Dudley, Stafford, Cannock, Burntwood, Penkridge, Brownhills and all surrounding areas. Our team understand the importance of installing the correct sub base, taking care of drainage along with using the best quality bitumen whether we are building a driveway, pathway, public road or car park. The same attention to detail will be applied to each and every tarmac project for both home and commercial business owners. 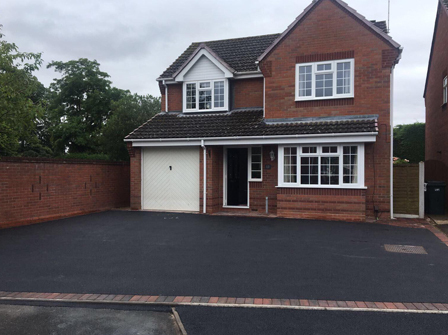 Tarmac driveways normally are installed over a 5 to 7 day schedule, but no deposit is needed before we get started on your driveway, our customers are happy to pay in full once they see the quality of our workmanship. Available in either black or red or speak to a member of our friendly team who will be able to advise you on other colours too. 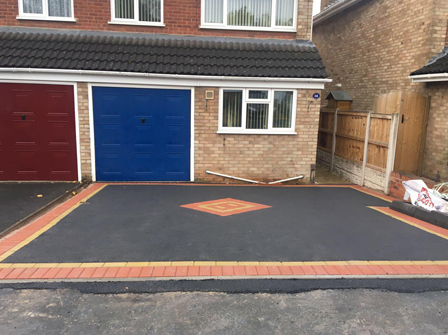 If you already have a tarmac driveway which is not looking its best, then give our team a call and we can repair or restore it for you. Potholes, cracks and resurfacing can all be dealt with by our experienced team. 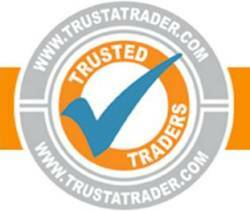 All tarmac work is fully guaranteed for your peace of mind and no job is too big or too small. Our written quotations come with a 14 day cooling off period and with a competitive price. So, for all tarmac driveways, pathways, roads, forecourts and carparks, call the experts at Brooklands Paving Systems Ltd on any of the numbers at the top of the page, we look forward to helping you with your enquiry.